MP Lohvynskyy commented on the persecution of Crimean Tatars by Russia. Ukrainian MP Heorhiy Lohvynskyy (People's Front) has said Russia is bound to disintegrate after the annexation of Crimea. "[Crimean Tatar self-styled government] Mejlis [Majlis] takes a tough stance: Crimea is Ukraine, Putin seized Crimea, and he will choke on that. Russia will fall apart because of the annexation of Crimea. We will fight for our homeland. 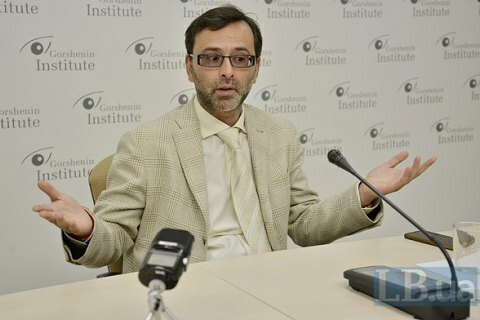 Crimean Tatars, Karaites and Krymchaks do not have another country," Lohvynskyy said in an interview with LB.ua. The MP, who entered the Ukrainian parliament on the Mejlis quota, says that by the "fight" he means both legal and economic warfare. In his opinion, Russia aims to intimidate the Crimean Tatar people, silence and force them to betray the country. "So far they are getting nowhere. Russia is shocked because their arguments do not work. They cannot stifle unarmed people, left without livelihood and government support," he concluded. Lohvynskyy told LB.ua about his Crimean roots.